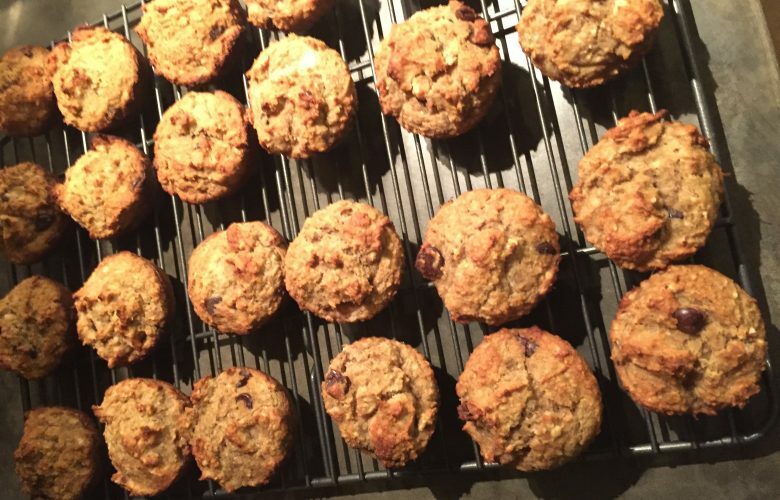 We make Gluten Free Banana Muffins at least every other week. My kids love them and love helping to make them. A few over ripe bananas on my counter has always meant one thing, Banana Bread. 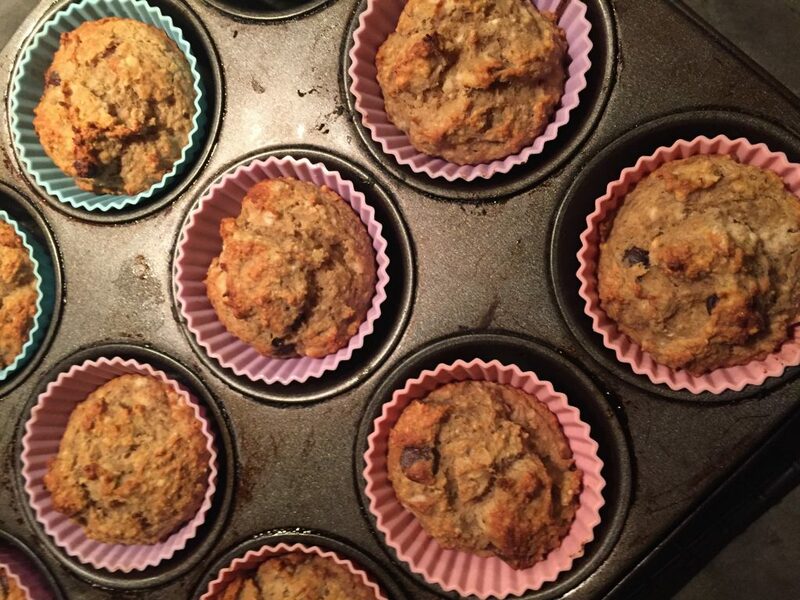 Now that we have gone gluten free, we’ve switched to Gluten Free Banana Muffins. Lately I have opted for Banana Muffins over Banana Bread because they are easy for kids to grab and go. 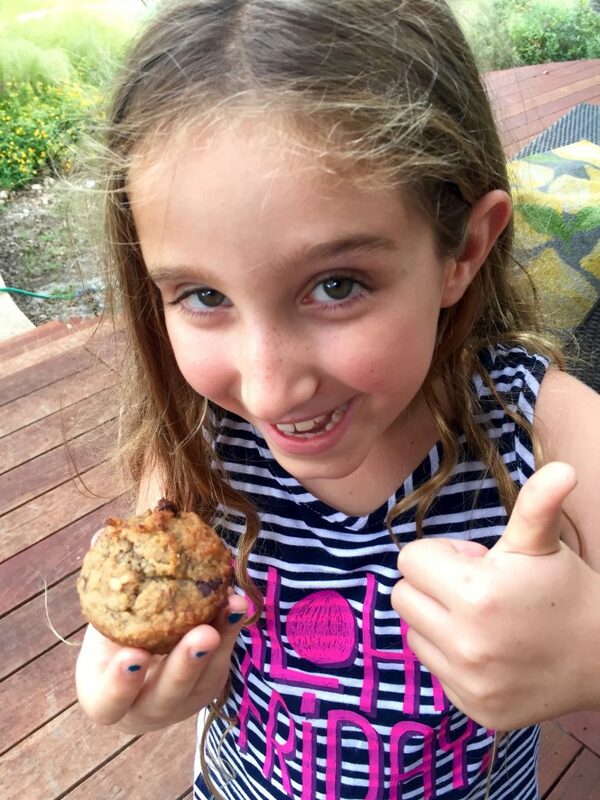 These Gluten Free Banana Muffins are delicious for kids and go great with coffee for mom. They’re also an easy way to sneak in tons of good healthy stuff your family needs. I love adding coconut oil, ground flax seed, Maca powder, coconut or almond flour, and even nut butter. If you are wondering what Maca Powder is, it’s a root grown in Peru that smells a little bit like butterscotch and is considered to be a super food. It has shown to boost energy, help with hormone balance especially in women, (I totally need help with that), it’s rich in nutrients including Amino Acids, Vitamins, Calcium, Magnesium, Potassium, Copper, Zinc, the list goes on. That’s why I keep it on hand. I add Maca Powder into muffins, pancakes, cookies, even smoothies. This is a one bowl recipe. I like to start with mashing the bananas with a fork, then add eggs. If your coconut oil is hard,then melt it before adding. But be careful not to add really hot oil to the banana/egg mixture or you'll scramble the eggs. Everything else just gets dumped in and mix well. When adding the baking soda and baking powder I always try and evenly sprinkle over the top so they get well distributed. You certainly can mix the dry ingredients separately, but I like to dirty just one bowl. Scoop the batter using a 1/4 measuring cup (same one I used for the applesauce) into 2 greased muffin tins or silicon lined muffin tins. Bake for 20 minutes or until a toothpick comes out clean. A little grass-fed butter on top is amazing. Enjoy for breakfast or snack!